About 6-7 weeks ago I reported that some of the Quick Service and Fast Casual restaurants at the Disneyland Resort were going to be getting the Mobile Ordering Service, which has been very popular at Walt Disney World. Today Disneyland has announced the initial locations that will be getting the new service. The Mobile Ordering Service will be available at six Disneyland locations. The six locations that will be getting the service are Bengal Barbecue, Galactic Grill, Gibson Girl Ice Cream Parlor, Hungry Bear Restaurant, Jolly Holiday Bakery Café and Red Rose Taverne. Nine Disney California Adventure locations will be getting Mobile Ordering and they are – Award Wieners, Clarabelle’s Hand-Scooped Ice Cream, Cocina Cucamonga Mexican Grill, Corn Dog Castle, Flo’s V8 Café, Lucky Fortune Cookery, Pacific Wharf Café, Paradise Garden Grill and Smokejumpers Grill. Guests can customize their orders directly on the app, including allergy-friendly offerings. This service has been Immensely popular at Walt Disney World and I’m sure it will be a big hit at the Disneyland Resort once guests start using it. At this time Disneyland has not indicated an implementation date for the new Mobile Ordering System. Yesterday Disney announced that new Marvel-themed areas will be coming to Disneyland Resort, Disneyland Paris and Hong Kong Disneyland in the near future. The new Super Hero-themed land at the Disneyland Resort will begin recruiting guests in 2020. Spider-Man and the Avengers will be joining Guardians of the Galaxy in a completely immersive Super Hero universe in Disney California Adventure. The new land will be anchored by the immensely popular Guardians of the Galaxy – Mission: BREAKOUT!, in the area that is currently occupied by “a bug’s land.” “It’s Tough to Be a Bug” already closed on March 19 and the rest of the land is scheduled to close later this summer. 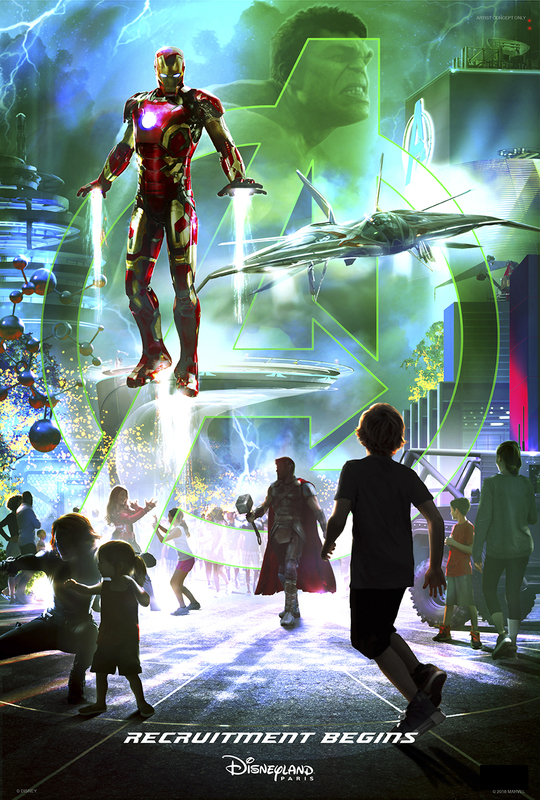 Disney also announced that as part of the transformative multi-year expansion announced for Disneyland Paris, the new Marvel-themed area at Walt Disney Studios Park will include a reimagined Rock ‘n Roller Coaster where riders will team up with Iron Man and their favorite Avengers on a hyper-kinetic adventure in 2020. 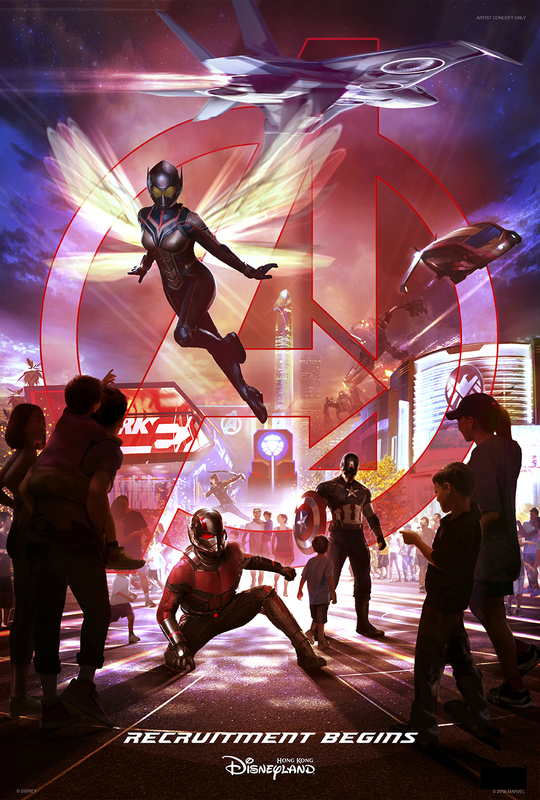 Also announced were multi-year expansion plans at Hong Kong Disneyland, including a new themed area that will include an exciting attraction where guests team up with Ant-Man and The Wasp. It was great to finally get some details about the Marvel-themed land at Disney California Adventure. This area has been hinted at by Disney for a while now, so it was nice to finally get some official “vague details” to hype-up the fanbase. I for one am very excited about this new area. While there is a portion of the Disney fan community that are upset that in getting this new land means the extermination of “a bugs land,” I am not one of those. The movie “A Bug’s Life” that the area was based on has never been one of my favorite Pixar movies and I’ve not been all that fond of the attractions is this land either. In other words, I’m not all that broken up to see the bugs go away. If Walt Disney Imagineering can replicate the great work that they were able to do on Guardians of the Galaxy – Mission: BREAKOUT! the area could be amazing. Personally, the year 2020 cannot come soon enough….I am really excited and am already planning on a possible trip for when it opens. Disney California Adventure Food & Wine Festival will return March 2 through April 12, 2018, bringing delicious cuisine, specialty beverages and exciting entertainment to Disneyland Resort guests for its third season. The culinary festival will expand to six weeks, with more days for guests to enjoy the flavors of the Golden State. More than a dozen Festival Marketplaces will feature California-inspired tastes and sips. Guests will experience presentations and demonstrations with celebrity chefs such as Robert Irvine and Alex Guarnaschelli; food and beverage tastings; winemaker dinners; beer, wine and spirit seminars – all in addition to live music, entertainment and special activities throughout the festival. The festival’s signature events will include new experiences such as the Disney Family of Wines Dinner, as well as returning favorites like Sweet Sundays and the Winemaker or Brewmaster Dinners. Another guest-favorite returning to the festival is the Junior Chef experience, with hands-on fun led by Chef Goofy, for children ages 3 to 11. Early next year, Super Hero fans will explore the isolated and technologically advanced kingdom of Wakanda when “Black Panther” opens in theaters February 16, 2018. And for a limited time, Disney California Adventure guests will have the opportunity to encounter the king of Wakanda himself, Black Panther. “Black Panther” follows T’Challa who, after the death of his father, the King of Wakanda, returns home to the isolated, technologically advanced African nation to succeed to the throne and take his rightful place as king. But when a powerful old enemy reappears, T’Challa’s mettle as king — and Black Panther — is tested when he is drawn into a formidable conflict that puts the fate of Wakanda and the entire world at risk. Faced with treachery and danger, the young king must rally his allies and release the full power of Black Panther to defeat his foes and secure the safety of his people and their way of life. Kick off the Year of the Dog with the return of the popular Lunar New Year festival at Disney California Adventure park! 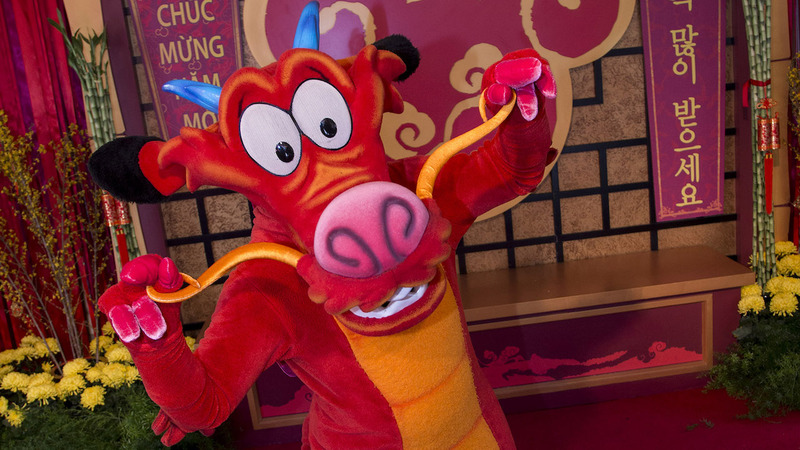 The festive Mulan’s Lunar New Year Procession, traditional crafts and more! The popular Southern California annual pass that allows visitors entrance to Disneyland and Disney California Adventure on certain days year round will no longer be available for new customers, for the time being, a Disneyland spokesperson confirmed. Starting Monday, Nov. 20, the $469 pass – one of Disneyland’s least expensive annual pass options – will go on hiatus. 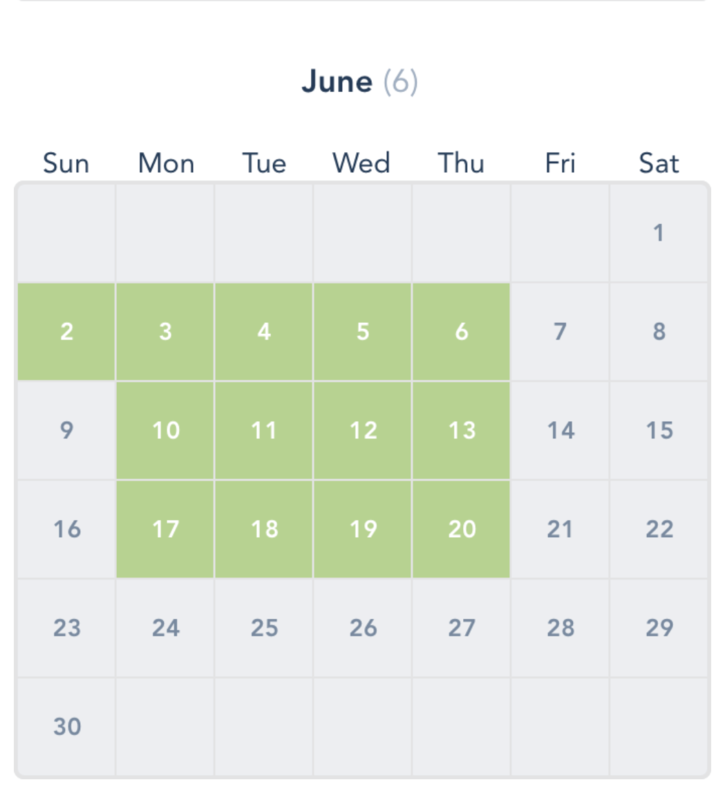 The Southern California annual pass option was removed from the Disneyland.com website this morning. Current Southern California Passport annual pass holders will have the option to renew. Those who have passes that expired recently will receive a letter soon on how to renew the pass. The discontinuing of the popular Southern California Passport – even if it’s just for the time being – comes as no surprise. With an estimated 1 million annual pass holders and Star Wars land, Star Wars: Galaxy’s Edge, opening in a couple of years and other attractions such as Pixar Pier coming in the near future, Disneyland officials appear to be taking another step to managing future crowds and spreading out the demand. Last year, Disneyland introduced a tiered ticket pricing structure to spread out the crowds. Earlier this year, Disneyland increased the price for admission tickets and annual passes. This is the second time the Southern California Passport was discontinued. In 2014, Disneyland officials removed the annual pass to better manage the crowds that come Sundays at the theme parks. Disney later reintroduced it in 2016. Disneyland offered five types of annual passes, ranging in price from $339 to $1,049. The Southern California Passport is one of two annual passes available for Southern Calfornia residents living in ZIP codes 90000 to 93599, from San Diego to north of San Luis Obispo. 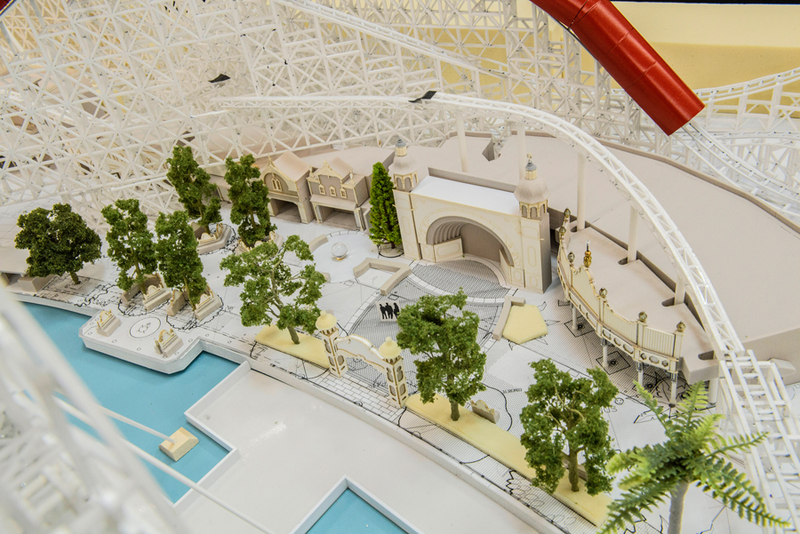 The pass allows visitors to enjoy both Anaheim theme parks for about 215 days with block outs on Saturdays, holidays, and half of summer. Its affordability – about $31 monthly with no interest after a $97 deposit – has made it a popular choice for local residents. The Southern California Select Passport, which allows visitors 170 days of access to both theme parks – mostly on weekdays – will still be available. It’s priced at $339. Beginning November 10, some of your returning favorites will feature a bit more magic during Holidays at the Disneyland Resort. At Disney California Adventure, Festival of Holidays will bring a new take on delicious holiday comfort food. All-new cultural favorites are coming to the Festive Foods Marketplaces, including Beef Corn Tamale a la Plancha with Spicy Rojo Sauce, Braised Lamb Cheeks with Mediterranean Cauliflower, Sweet Potato Pie and Fruit and Nut Rugelach. In Cars Land, Luigi’s Rollickin’ Roadsters will transform into Luigi’s Joy to the Whirl, and Mater’s Junkyard Jamboree will become Mater’s Jingle Jamboree, both featuring new holiday tunes for the season. All of this is, of course, is in addition to the return of Disney ¡Viva Navidad! 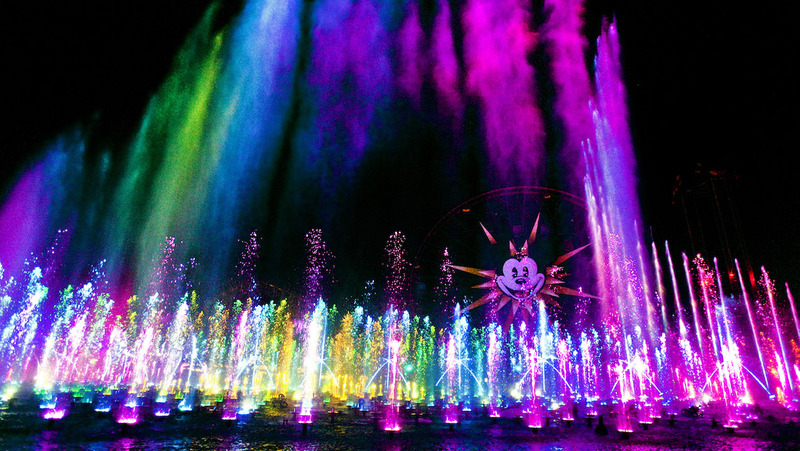 and “World of Color – Season of Light” at Disney California Adventure. At Disneyland, Sleeping Beauty’s Winter Castle, “Believe…in Holiday Magic” fireworks, “A Christmas Fantasy” parade, “it’s a small world” Holiday and Haunted Mansion Holiday will delight guests throughout the season.